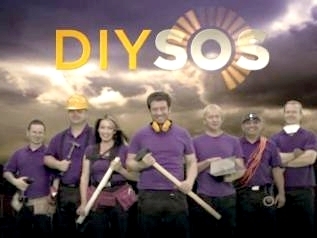 DIY SOS - The Tiny House UK "Office". Tiny House UK are due to build a "Tiny House on Wheels" for a family featured in the BBC One series 'DIY SOS, The Big Build' and will be used as part of a life changing transformation to the home of a family in Fareham. Also, a big thank you to: Lee Lifting, Jewson, Gibbs & Dandy, The Garden Room Guide, Browns, Oatlands Glass, Homebase, Shedworking, Keith (Welder), Woodcraft, Global Ladders, Cane Adam and last but not least Tina (9) and Sarah (8) for donating their pocket money ! A couple of clips taken of the show. All material and content Copyright © 2012 Mark Burton. All rights reserved. Coolest Cabins is a showcase of the best, biggest, smallest, weird and wonderful cabins....worldwide. Why? everyone needs a bit of inspiration when you are designing and building a garden cabin. We invite our viewers to submit eye catching cabins that they have come across on the vast superhighway of information and images. If you see a cabin, tree house, lodge, chalet or a bespoke garden building that makes you think "WOW" to yourself, please share it, we would love to see it. ... As long as, it's made of Timber. What is a Cabin? well, on this blog, it's made of timber and has four walls! It can also be a Garden Room, used as a Garden Office, a cabin that is kitted out as a Garden Gym, a Garden Studio to play music or practice dance, a Traditional Log Cabin, a Summerhouse, or a Granny Annex. We also think the general public would love to see interesting and unusual Oak Car Ports, a quirky Timber Garage, a cool Pool House, a Workshop, Bike Shed, or just an odd shaped Garden Shed for tools and a lawn mower!